The solar panels, or solar modules as we call them in the industry, are where we capture the power of the sun's rays and change it to electricity that we can use in our lives. Though the technology is advanced the modules themselves are very simple. Using refined silica and adding sunlight we can make direct current (DC) power. 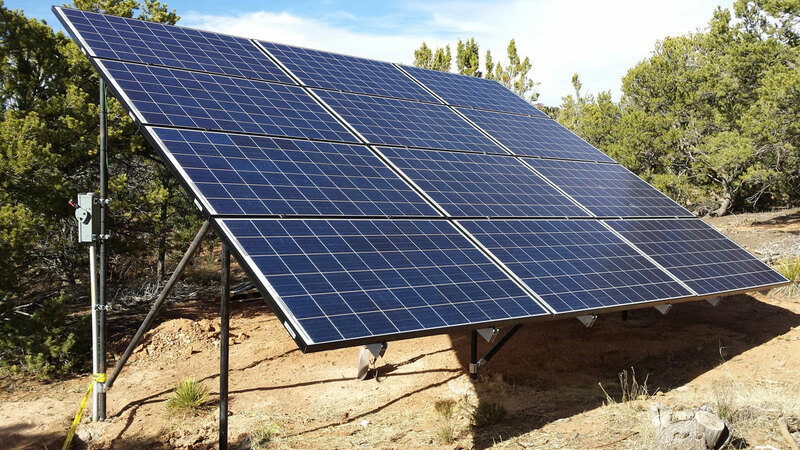 With an industry standard power output warranty of 25 years, solar modules are always a good purchase. There are few things you need to know before you jump into purchasing a solar panel, so spend a few minutes reading about the specs and what they mean. All reputable brands of solar modules should have a label on the back plate that lists all of the information explained below. One key thing to remember is that the specs of a solar module are determined in a lab under laboratory conditions. Output and performance can vary dramatically in the field depending on irradiance (power of the sun) and temperature. As it sounds, this is the total power output the module is capable of producing. This is the voltage at which the solar module is capable of its maximum power output. When using solar direct appliances or battery charging without an MPPT charge controller, it is essential to match your Vmp to your load or battery bank. This is the output voltage of the solar module when connected to an open circuit (no load). We use this number to design our strings of modules to be sure that we do not over-voltage our charge controllers, inverters, or solar direct appliances. When using this number it is important to know that Voc goes up with a decrease in temperature. Be sure to take into account the lowest ambient temperature when sizing solar modules or strings of modules. This is the total amount of amps capable of flowing from the solar array under a direct shorted circuit. It is important to size your wire to be able to carry the Isc of your solar array in case of an electrical short. This is the amperage that comes off the module when operating at the Vmp. This number tells us the current coming off the solar module under normal max power operation. When using solar modules for solar direct applications or for charging batteries with a PWM controller it is imperative that you understand the voltage at which the module operates and choose a module that has a Vmp that works well with your intended use. For example, when charging a 12 VDC battery bank using a PWM controller, you must chose a solar module which has a Vmp of 17 to 20 VDC. Note: If you have any questions regarding what solar module will work for what application please contact our sales staff directly and we will do our best to help you find the solar module that will work best for you.